want to overcome your injury? Our Run Lab can be a useful tool in improving performance and efficiency, and overcoming and preventing injuries. Do you want to prevent future injuries, improve your race pace and receive a customized training program? Our cutting edge technology and training recommendation make the perfect recipe for running success. Work with our Certified Strength and Conditioning Specialists and Run Coaches to improve your performance based upon your run analysis. Optimize your endurance, strength, and power through programs specifically designed for your needs. A running gait analysis can be a useful tool in understanding running injuries and improving performance. How fit are you? This is the gold standard of measuring cardiovascular fitness. Whether you want to run faster in your race or prevent heart disease, this is a “must do”. Your semi-private package includes access to a special Running class every Saturday and Sunday. Strength training is a critical component of running faster, and staying injury free. 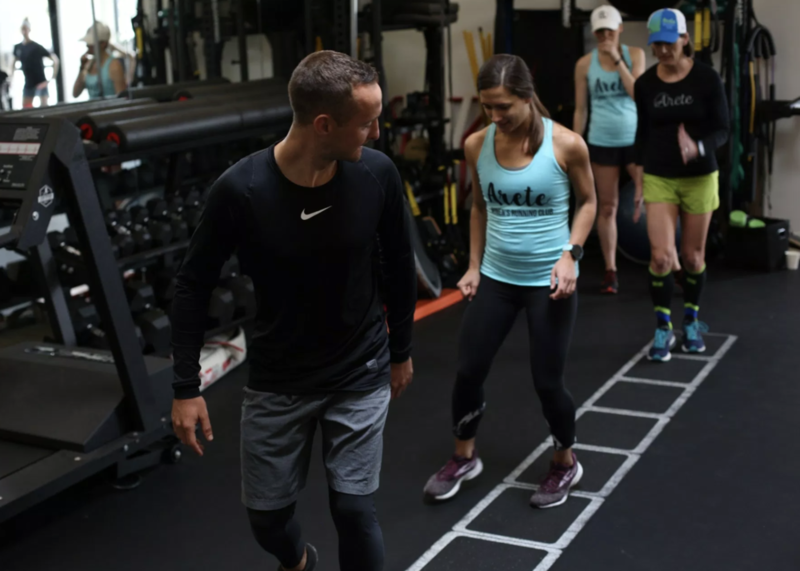 Our certified running coaches will take you through running specific drills and a strength training program designed to help you shatter personal records and keep nagging injuries on the bench. Are injuries slowing you down or keeping you from doing what you love? Our certified running coaches will take you through specific drills and exercises to help reduce the risk of the most common running injuries.